Thanks. Liz! It’s always neat to get an isolated bird doing something. 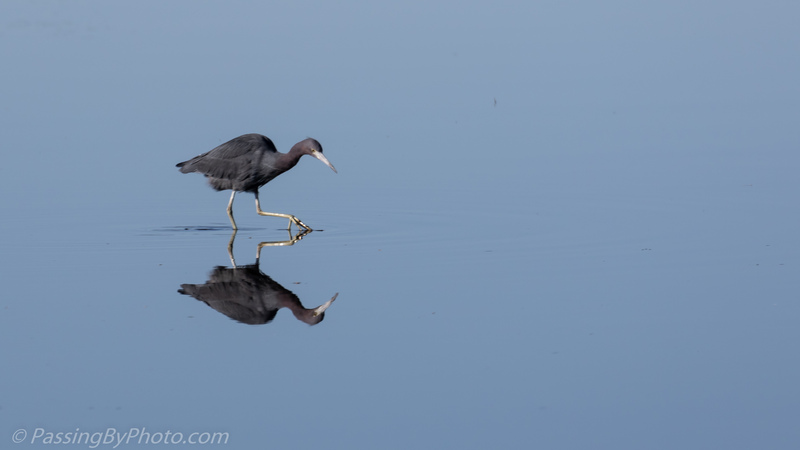 It’s hard to believe the heron can move that carefully–stealth on the water. Wonderful sequence, Ellen. Thanks, Mike! They are stealthy, and so focused on their hunt. What a beauty, lovely shots Ellen! Thanks, Belinda! The light was perfect for the reflection that morning. Beautiful reflections and wonder full photos! 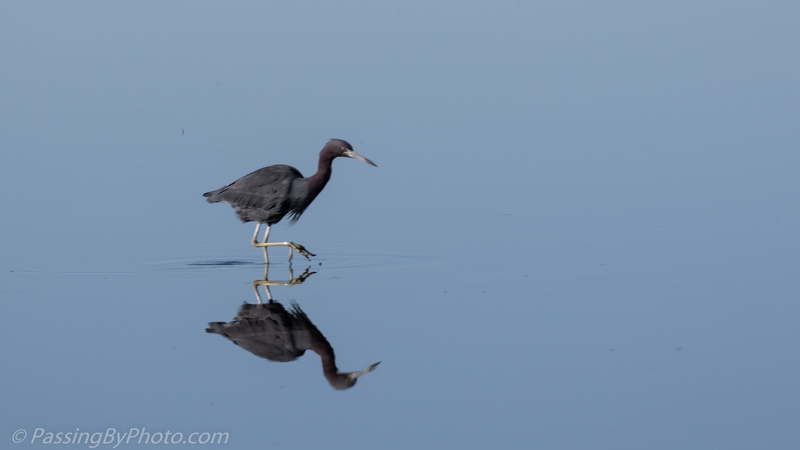 Learned something new: little blue heron, a specy unknown to me. Thx Ellen. Thank you, Greta! The Little Blues are fun to watch, very determined in their hunting.